With the Samsung Ch@t 222 GT-E2222, it might not necessarily look any different from previous Ch@t branded devices we’ve scoped out in the past, but this latest model is indeed packing something useful under the hood that separates it from previous incarnations. 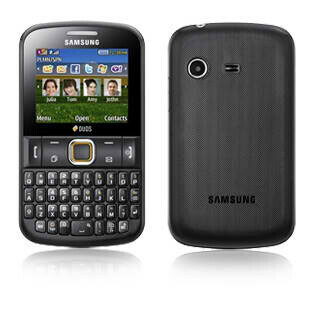 Specifically, the Samsung Ch@t 222 is a dual-SIM equipped messaging oriented phone – meaning, you can pop in two different SIMs inside of it simultaneously. Obviously, it’s especially useful for those individuals who don’t want to carry around two separate phones. Not a powerhouse by any means, the Ch@t 222 features a 2.2” display with a paltry resolution of 222 x 176, VGA camera, video recording, portrait style QWERTY keyboard, DNSe sound, FM radio, microSD card slot, 12 hours of talk time, and a 1,000 mAh battery. If you don’t want to be bothered with the complexities of a BlackBerry smartphone, then the Samsung Ch@t 222 is a reasonable solution that emulates the classic BlackBerry form. It’s expected for Samsung to officially introduce it very soon, but as of right now, there is no word regarding availability and pricing – though, we’d imagine this one to be affordably priced. 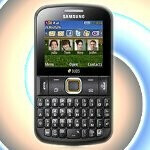 This is a good phone for the Talk Abroad international roaming SIM from National Geographic. This world roaming sim for europe is for sale at communicationhq.com, but if you need to rent or buy a GSM phone, check out Cellular Abroad. AND to save $10 on cell phone rental Europe, us Cellular Abroad promo code "CHQ"! I want to buy this set in Faisalabad. Serious seller can contact on 0312-6520552.